Here you will find medical experts in clinics and medical practices in the medical field Epilepsy. All listed physicians are specialists in their field and have been carefully selected for you according to strict guidelines. In which specialist field is an epilepsy specialist active? Which illnesses does an epilepsy specialist treat? What treatment methods are used by an epilepsy specialist? What additional qualifications are required by an epilepsy specialist? The first point of contact for many who experience a seizure will be a primary care doctor, but if epilepsy is suspected, there will probably be a referral on to a neurologist, who specialises in a range of brain disorders. A number of neurologists who have had additional training in epilepsy, and perhaps work mainly within that specific field, are sometimes described as epileptologists. In addition, it is common for patients to be assigned a specialist epilepsy nurse. A specialist nurse can act as a link between the patient and other professionals, may also have a role to play in your treatment, and will certainly offer their support to help you manage your epilepsy. Your primary care doctor may also be involved in the ongoing management of your epilepsy. They may handle practical tasks, such as prescribing drug treatments, and will be available to answer any questions or concerns that may arise about any aspect of your treatment. An epilepsy specialist will treat patients with epilepsy, sometimes with the help of a multidisciplinary team. Rather than a single condition, epilepsy is a group of neurological disorders that characteristically produce epileptic seizures that are convulsive in nature. These episodes, which can vary considerably in intensity, may sometimes involve extended bouts of uncontrolled shaking. There is a likelihood that these symptoms, which can cause physical injuries and even broken bones, will recur. Though it is generally believed that epilepsy cannot be cured, most epileptic conditions can be satisfactorily managed with medication. Where epileptic seizures cannot be successfully controlled via prescription drugs, surgery is then the recommended option. The best outcomes have been achieved when it has been possible to identify and remove the portion of the brain where epilepsy has been detected. A further surgical strategy involves disconnecting certain neural pathways to stop a ‘chain reaction’, which would otherwise allow a seizure to spread to other areas of the brain. The vagus nerve stimulation technique implants a device that electronically stimulates the vagus nerve – the nerve that controls unconscious body procedures. This can often help to reduce seizures. An RNS (responsive neurostimulation) device uses a similar process. Surgically installed below the scalp, this neurostimulator device is electrically wired to the parts of the brain that have been identified as the source of epileptic seizures. If abnormal electrical activity is detected, the RNS device responds with targeted electrical pulses to normalise brain function by interrupting the seizure cycle before it gets under way. Those who are at risk of epileptic seizures are usually encouraged to wear some form of ‘MedicAlert’ bracelet. This will help those offering first-response medical assistance to quickly recognise that an epileptic episode is taking place and respond with appropriate emergency treatments. An epilepsy specialist will have initially trained in the medical discipline of neurology. However, since 2010, the ABPN (the American Board of Psychiatry and Neurology) has offered a new subspecialty certification relating to epilepsy. This means that epilepsy is now defined as a medical sub-category of neurology and child neurology. 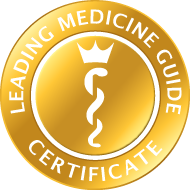 In addition, this qualification gives epilepsy specialists important official recognition of their training and experience in the treatment of epilepsy. To become eligible for this accreditation, suitably qualified neurology candidates (or neurology with a special qualification in child neurology) are required to complete a two-year fellowship in epilepsy. To achieve certification, they must also provide evidence of the required level of epilepsy-focused practice experience, or alternatively, documented proof that they have successfully met the demands of a formal period of epilepsy-based training.